This hotel is simply gorgeous! The staff was super friendly and helpful and I enjoyed my stay immensely. The bad reviews are not warranted for this lovely property. I would stay here again and recommend for friends any time. I wish I had more time to stay in this beautiful place. 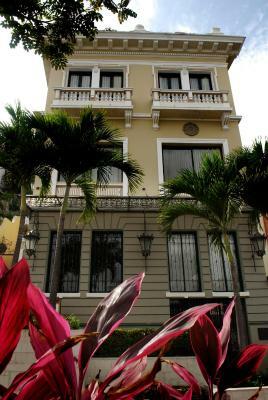 It’s on an historic and winding street very close to the river,a 10 min walk to the Malecón. The staff was wonderful,but no one spoke English.We made do. Our room was extremely comfortable. We just loved it! At first I thought I was so lucky to have found a room for $50 in such beautiful place. The view was amazing and the location was great. The place is certainly beautiful. The location and the staff. personally for us..the ZORO movie stage historic atmosphere. 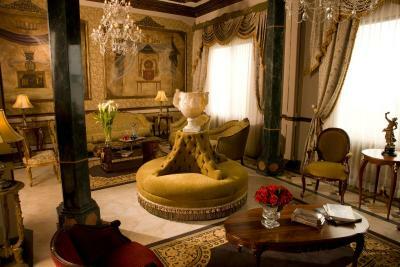 The hotel exudes a faded grandeur, with elegant old furnishings and decorative touches throughout. 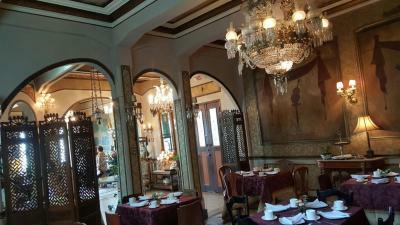 Every room we saw had a huge crystal chandelier; the ceilings and walls were painted, interesting paintings and knick knacks and old wooden furniture throughout. It was a visual feast, with a view of the river from our room. 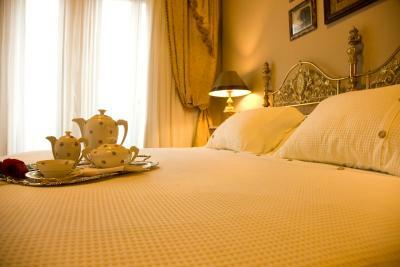 The bed was huge--I'd been a bit worried as it was listed as full, and my husband and I are big people. 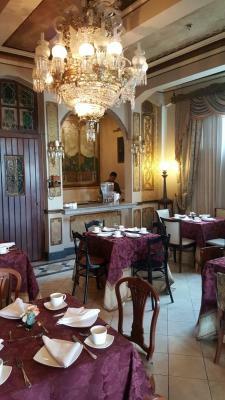 The location was great-an easy and safe walk to the Malecon and to cafes, a short ride to the airport. 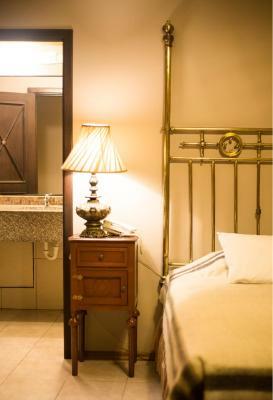 Perfect location near Las Penas, Malecon 2000, and the water. Julio was exceptionally nice and helpful. This is a historic hotel with many stairs. We loved it but it may not meet the needs of all people. Upon check-in the clerk instead on CASH even though the credit card had already been charged. I asked for a receipt, he said one wold be provided upon check-out. In the morning I asked again for a receipt, he said to write my email on the registration form and one would be sent. It was never sent. Not only did they take my $70 cash, which was more then the quoted rate, they also still charged the card. Additionally, the room was tiny, had no access to wifi, and was dirty. just dirty. There were spiders in the shower, marks all over the walls, stains on mattress, the blanket had hair in it. While the lobby and halls are beautiful, room #8 was gross. Very beautiful hotel. Great room with good view. Very nice surrounding. Friendly staff. 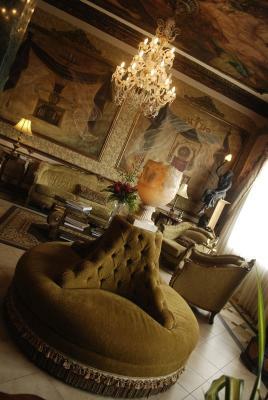 The hotel has the style of an old mansion, a very nice place. 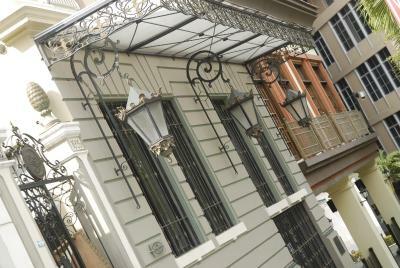 It is located near bars, near the Malecón 2000 and near the Faro. 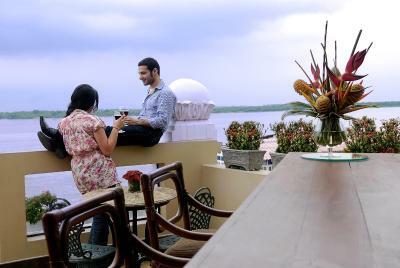 Set in a stylish, renovated mansion from 1920, part of the Ecuadorian architectural patrimony, this elegant hotel features luxurious marbled interiors and a panoramic terrace with views of Guayas River. Wi-Fi and private parking are free. Malecon 2000 is a 5-minute drive away. 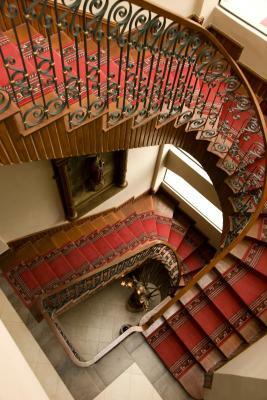 Hotel Boutique Mansion del Rio has wooden staircases, deep red carpeting and antique wrought-iron banisters. 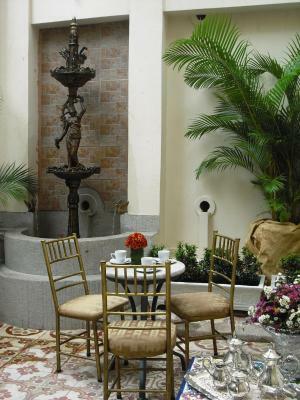 The interior colonial-style patio features a water fountain and decorated tile work. 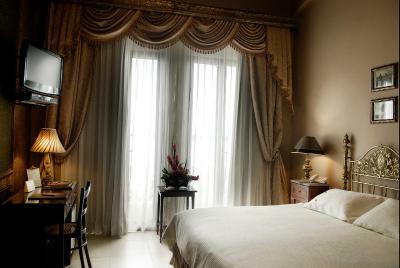 Rooms at Mansion del Rio are styled with draped curtains and equipped with cable TV and air conditioning. 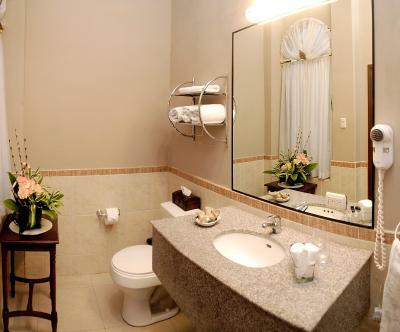 All rooms have private bathrooms and city views. 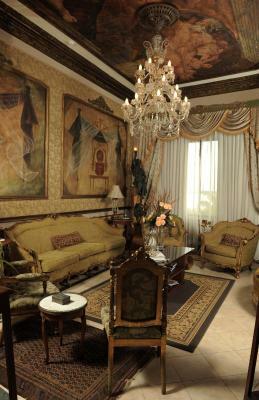 The Suite features crystal chandeliers, a hand-painted ceiling and a spacious living room area. 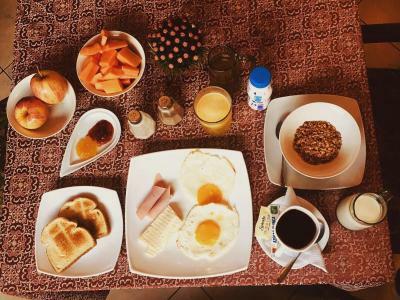 Guests can enjoy a full breakfast with tropical fruits and regional jams in the privacy of the room. 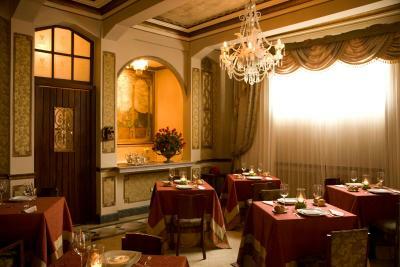 La Terraza Restaurant serves local gourmet cuisine in an elegant setting. Espol Metrovia Station is a 5-minute drive. Shuttles to Joaquin de Olmedo International Airport, 15 minutes by car, can be arranged. 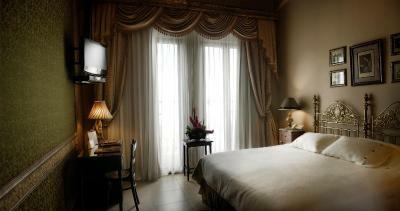 When would you like to stay at Hotel Boutique Mansion Del Rio? 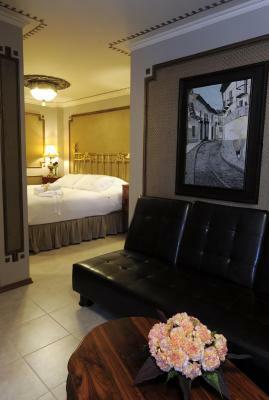 An elegant room, equipped with cable TV, air conditioning and featuring free Wi-Fi and city views. 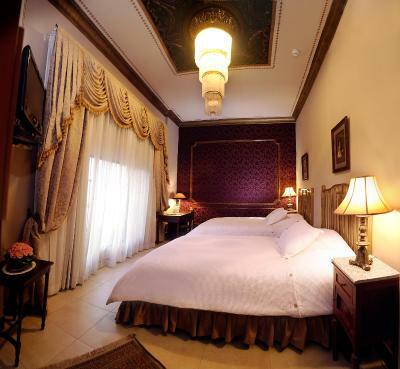 A luxurious air-conditioned room with city views and free Wi-Fi, decorated with draped curtains and crystal chandeliers, and featuring a spacious living room area. 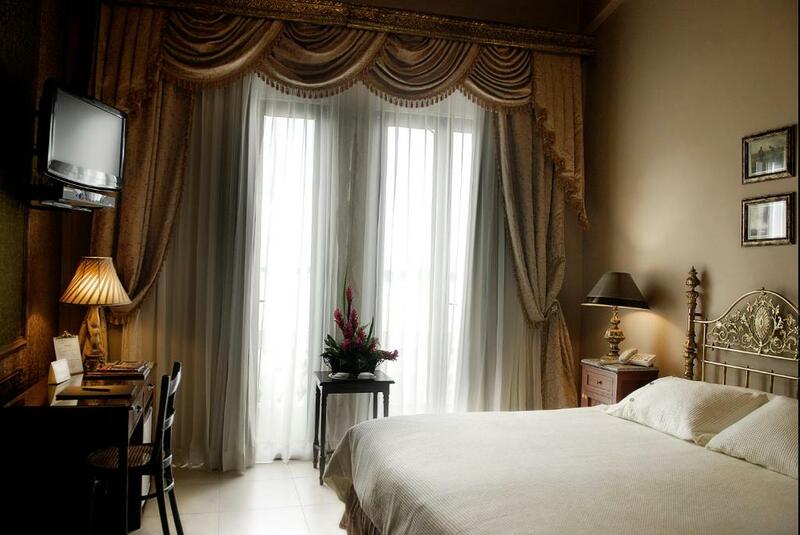 This single room features a balcony, private entrance and air conditioning. 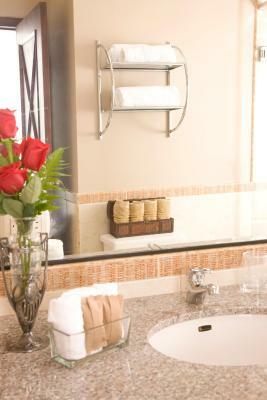 House Rules Hotel Boutique Mansion Del Rio takes special requests – add in the next step! Hotel Boutique Mansion Del Rio accepts these cards and reserves the right to temporarily hold an amount prior to arrival. Guests requiring airport shuttle services are requested to contact the hotel with their flight information details. 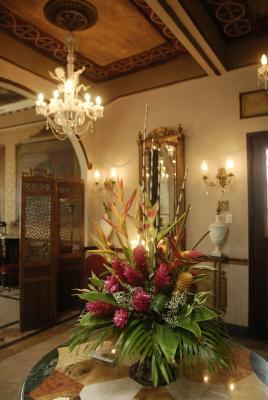 Please note the restaurant functions on an on-demand basis, guests should request restaurant services prior to arrival. Excellent river view and sorrounding extremely beautiful and cozy. 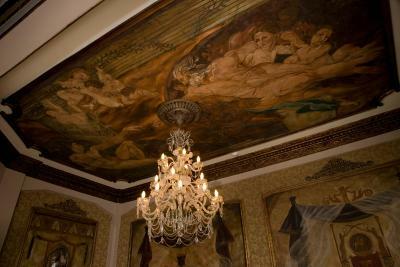 Very happy to have the experience to spend a night in a beautiful historic hotel full of art and family atmosphere It was great!!! 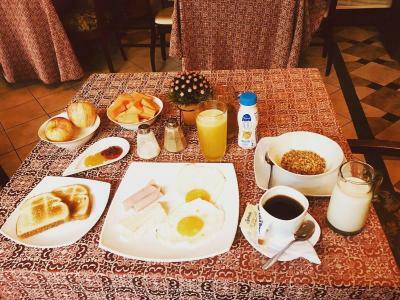 Breakfast was included but was only served one morning. Our room was not cleaned or beds made during our stay. There is no elevator. The hotel was in a very nice and safe part of town. We could walk to many restaurants. 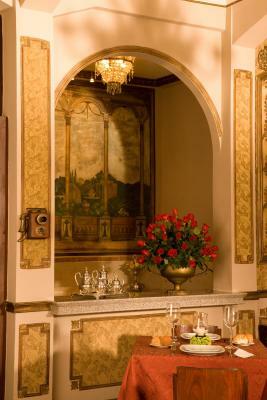 The hotel has a lot of old world charm. With some bagage, climbing 2 steep stairs is quite a challenge. Breakfast was not a Highlight. Excellent location in Las Peñas with a marvellous view of the river. Walls, ceilings and furniture more like in a museum than in a hotel. The breakfast was fantastic, served by a stately gentleman. The 2 Victors at the front desk were warm, helpful, and knowledgeable. 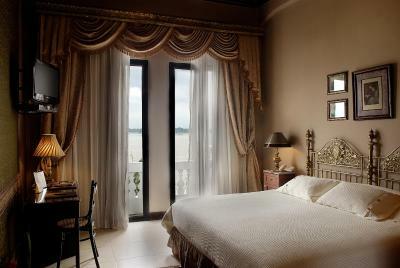 the location right near the Malecon was perfect as was our view of the water. breakfast has very limited options. 3rd floor without elevator. 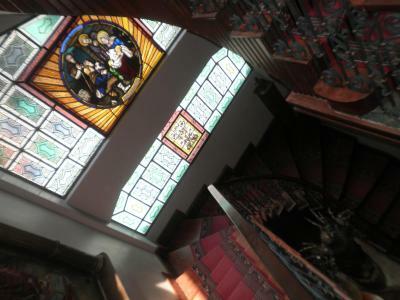 Beautiful kolonial House with a lot of original antiques. Very nice stuff, we would return and highly recommend that hotel. The parlor downstairs was air conditioned some times, and not at other times. Also, the small parking lot can park only about 6 or 7 cars, shared by other businesses, on an historic but bumpy cobblestone alley. But there is a security guard at all times. The minimal breakfast. The very loud music from the nearby restaurant until 3 am each night. 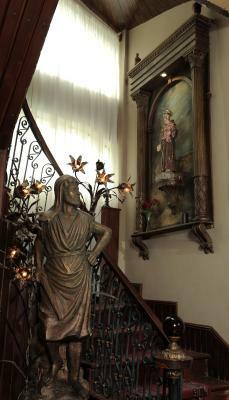 The original mansion decor and the view of the river. 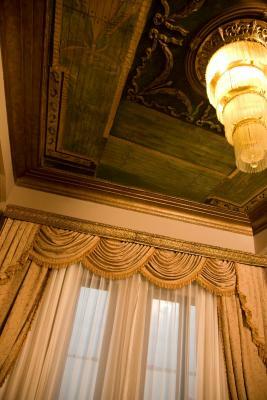 If you do not like the decor of the 20s and 30s, you might feel a little mummified. We did and enjoyed the ambiance. 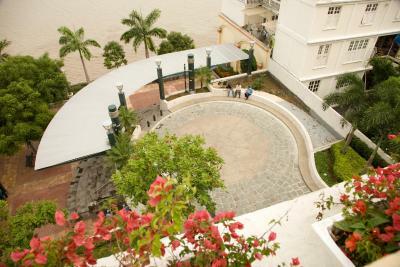 Beautiful, traditional house 'preserved in aspic' in the most attractive area of Guayaquil with superb views of the river from a delightful rooftop terrace. Attentively served breakfasts, even when we had to leave very early. Picked up at the airport and driven straight there. Restaurants and bars close by. It was an amazing experience being there! My experience can only be described as a beautiful nightmare starting with the fact that reception staff at fist could not find my reservation and there were a few minutes of panick wondering where I would sleep. The it just got worse from there. They have a bar next to my room which I gatherered is open to the public so the place is kind of feels like a bar with rooms if you know what I mean. They had incredibly loud music until 4:00 am. After one hour rest, the planes and wonderful wild life destroyed the little rest I got. There was a parrot that sounded like someone that it was being murdered and made me really wish I had a shotgun to make it be quiet. To make matters worse the hotel was full and I was told they didn't have clean towels and these would only be available until the next morning at 11:00. I came down for breakfast and in the daylight realise how dirty every corner of the place was. There was dust everywhere and the breakfast was the sorriest thing I have ever seen. The bread was full of flies. There seemed to be only two people working there and one of the clearly did everything as he was looking exhausted despite his brave smile. The other cleaned what he could and served breakfast and we watch him place the cheese on the table and the leak his fingers. So we decided to eat out. Don't get me started on the hair dryer that only works for 5 minutes at the time and the fact the towels only arrived at 1:00. I paid for two nights and only stayed one. I wish I could get my money back!